The mobile phone is the necessity of the younger generation. They observe the market and wait for the new launching of the mobile. They compare technology and purchase or change his mobile from the new one. The basic concept is working behind that they want to update himself with new technology. 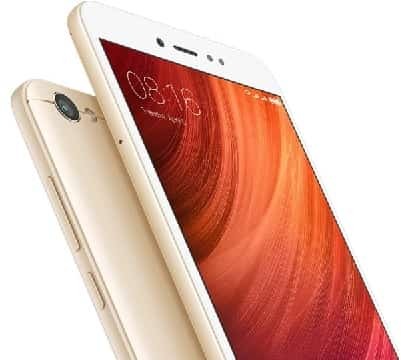 Redmi Y1: Review, Accessories, Tools, Camera Details And More! Sometimes, so many youngsters search on marketing site like OLX etc, to purchase the advanced technology based mobile from other users. This is one of the best mobile set available in the market. This mobile is inbuilt with a 16-megapixel camera. You can take selfie smartly. The picture quality is good and appreciable. The sharper and vibrant picture will attract you. The quality of the picture will not compromise in low light. The fingerprint sensor is working to protect your phone and date. Your fingerprint will be required to operate this set. Micro SD card and 435 octa-core processor are the unique combinations provided by the company for you. The display screen is 13.9 cm large in HD quality. The media coverage and photographic session can easily attend by this mobile phone. Perfect media inbuilt phone and can be handled easily. Other great features are backup of the battery. 3080 mAh battery backup keep your mobile in standby mode until 10 days. This 10 days limit is for video playing if you use your phone for reading purpose the limit of backup extended for 21 hours. This the big benefit provided by the company to the users. The Snapdragon 435 octa-core processor will fast to the operating system to ensure quick and provide good performance. The weight of this phone is 153g. The metallic look will attract you instantly. Presently it is available in Gold and Dark gray colors. The best specification you will get in this mobile is Dual SIM, 128 GB expandable memory for big data collection. Fingerprint sensor available to you for the security of phone and your data shifty. MIUI 9 is loaded with system level customization for performance and battery life. The battery backup is available for 32hr talk time. The dimension of height, weight, and thickness are 153mm, 76.2mm, 7.7mm respectively. Basically, the camera supports the PDAF technology and face recognition of the user. Video call and 1280X720 resolution support the clarity in the picture. Two 4G networks cannot be used simultaneously but wireless and all bands are available in this mobile phone. Bluetooth, navigation and positioning tools, multimedia support, package contents are available with the set. You will collect screen protector to save the front from scratches. The protector will give decent clarity. The smooth touch will give you great fill. If you want to protect your phone from the accident, liquid damage, free home pickup, and free second servicing within 1 year of activation can be activated. The price is very low on the features provided by the company. The rate is justified with the inbuilt technology. Camera quality and performance of the device is good. The price of the set for Indian users is Rs. - 8999/-. These are the Redmi Y1 specification, Price, point of sale and other details for you. Book today. Share the content with your colleagues, if like it or send the message in a comment box.